Pics and Kicks: miss you every moment. This was one of the happiest moments in my life.
. . . oblivious to the monster around the corner. I miss you every moment little boy. my soul is richer after having said goodbye. and a perfect trust in God's eternal plan. I am so glad I'm your mommy. We will be complete again. I am in tears! You have precious boys and I know that you will all be complete again one day. Till then you have a little angel watching over you and your family. Happy Mother's day to you and all those other sweet mommies out there. Thank heavens for eternal families. You and your beautiful family are always in my thoughts. Great big, huge, long (((((((hugs))))))) to you. Happy Mother's Day! Crying my eyes out is such a wonderful way to start the day... Love ya! You. are. amazing. That's all. This is such a sweet picture. I can see your eyes smiling. So perfect. Love you Gavin! Love you sissy. Tears are flowing. I hope you have a simply Wonderful Mothers Day. You are one truly amazing mother, and God knows it! Thank you for helping me to strengthen my own faith.. Saying a pray for you today. every day. That photo speaks volumes of the love your sweet family has for one another. Its amazing how a photo can talk to one's heart. simply amazing. Happy Mothers Day. This day is so hard for us baby loss mommas. Sending much love and hugs!! Your family is precious! What a beautiful post. I am counting my four blessings on this Mother's Day and thinking of you and my sister (who lost her baby boy to SIDS at just 3 days old last summer). Thankful for the eternal role of Mothers. Sending love and prayers your way. Happy Mother's Day. Natalie - you are such a wonderful person and mother! Happy Mothers Day to you and your family. Your positive attitude about everything in life, even hard struggles is so inspiring and beautiful! XOXO - Sending prayers your way. thank goodness for God and friends and family, specially eternal families. I hope you have a peaceful Mother's Day. just another fan of yours in tears. Being a Mother is never easy. Thanks for the reminder to enjoy each part. Haven't had a single second to stop by...all caught up now. Prayers still for you every day. Love you so very much! Happy Mother's Day. What a sweet reunion it will be! I just thought I'd let you know I was at my OB appointment recently, and I saw a brochure about Pertussis, thought about you, took one home. Read it, sent my husband to the Dr. to get protected, asked my Dr. about a vaccination for me... Thank you. Thank you for sharing your story and your broken heart with the world. After reading your story-- shame on me if a baby ever got pertussis because I wasn't up to date on my own vaccinations. You are always in my prayers. I am in tears. So beautiful. And my heart once again just aches for you. Big hug :) I love the way you write. Happy Happy Mother's Day. You deserve a wonderful one! Nat -- this photo did me in. (Gorgeous, by the way!) I love you ALL in it, of course, but oh - my HEART, when I look at you and Lincoln! And Raleigh's gentle hand... This is one of those "a picture is worth a thousand words". 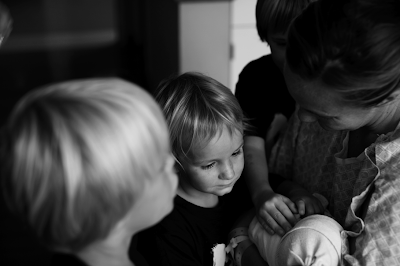 I am a pediatrician/mother and have been following your blog. Your story broke my heart. Because of you and little sweet Gavin, I am in talk with the hospital I work at to have the Tdap as part of post-partum care. Happy Mother's Day, Sweet Dear Mother-of-Four-Crazy-Sons. I found your blog tonight via digital photography school. I thought I'd check out your photos after reading one of your articles. Now I am in tears and have mumbled several prayers on your behalf over the past half-hour as I read about your life. I too have sweet boys, like you. I have the Gospel of Jesus Christ in my life too, and I am so glad that you do. I will continue to pray for you. Thanks for the beautiful photos and the help remembering what a special job I have as a mom. Aww, such a heartwarming post. I'm a mom myself and I can totally relate. My first "real" mother's day was spent this way - our one and only child gone. At church they told all the mothers to stand up and I didn't know what to do. I think my heart exploded. I don't remember whether I stood up or not but I was certain everyone was staring at me. (Now I'm sure they weren't.) Halfway through the day I decided to focus on my own mother and that helped. We will see our babies again, and that will be the true mother's day! Natalie, I hope and pray you are blessed this Mother's Day weekend. Thank's for your example of faith...I hope I never have to feel what you feel, but I am grateful that I can learn from you both spiritually and artistically. Happy Mother's Day. Thank you for talking about Gavin...and in such a sweet way. I found your blog from a friend. I'm so sorry about your sweet Gavin. I too lost my baby..back in August. I love the way you share your side of the story. I love that I found your blog and feel that it is a place to commune with another mama in a similar earthly circumstance. I am so very sorry about your baby. You are unbelievable. I've been so inspired by your strength. You are such a special person. What a sweet Momma you are, what precious babies you have. God Bless your angel.